3M Particulate Respirator 8511 N95 with 3M Cool Flow™ Exhalation Valve | What Should I Say? 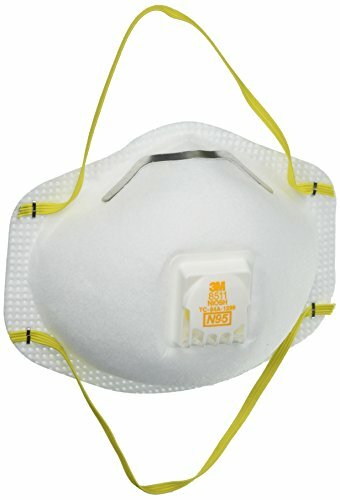 When the job requires work around tiny particles, you and your co-workers will be protected with these lightweight respirators. Adjustable nose clip ensures a more secure seal against the face. At least 95% filtration efficiency when subjected to a 0.3mm MMAD Sodium Chloride particle challenge. Lightweight construction helps increase wear time. Suggested for grinding, sanding, sweeping and other non-oil based operations. Suited for heat, humidity or long periods of wear.